Arctic foxes are small canines that live throughout the Arctic Circle. 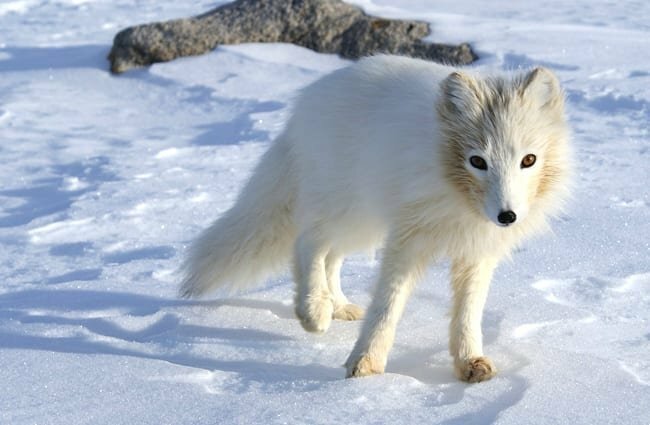 If there is any animal that you could call a “survivor,” it is definitely the Arctic fox. These little creatures live in habitats where the temperature can drop well below -50º F.
They have bright white fur, which they shed in the summer and assume a dull grey/brown color until the snow returns again. 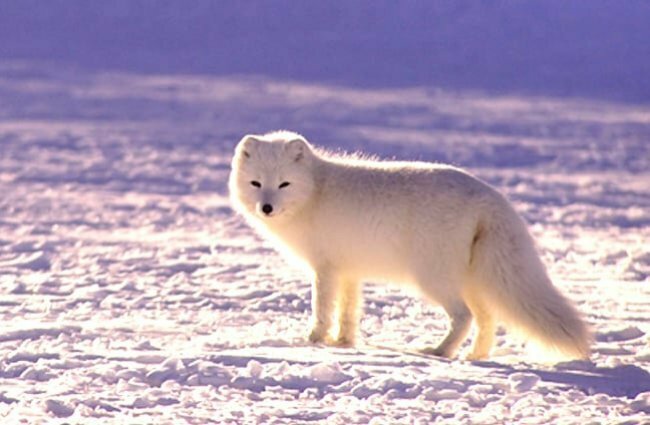 Read on to learn about the Arctic fox. These foxes are small members of the canine family. Most individuals weigh between 5 lbs. and 20 lbs. and are no longer than 4 ft. long. They look similar to the red fox, but they have thick white fur. In the summer, they shed their white coat, and grow a greyish brown coat. Each coat perfectly matches their habitat at that time. Arctic foxes are interesting and hardy creatures. They are incredible survivors, and live in extremely harsh conditions. Learn more about these unique little animals below. 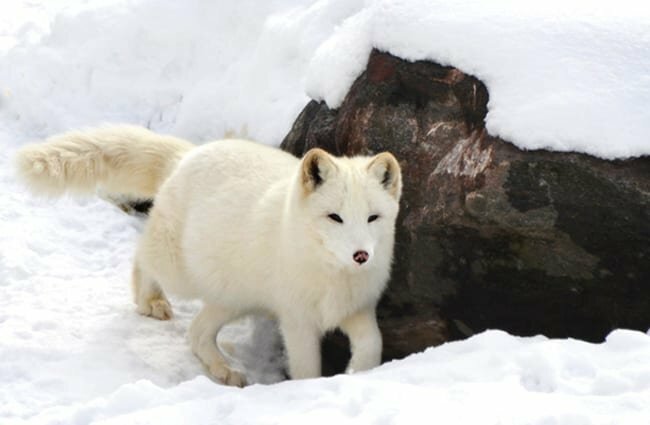 Adapted to Cold – Just like the Arctic wolf, Arctic foxes are well adapted to living in cold conditions. 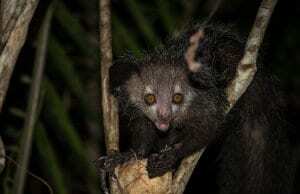 They have small legs and small ears, to help them conserve heat. Smaller ears help reduce heat loss, and keep the animals warm. Canine Family – Arctic foxes are in the Canidae family. Their closest relatives are other foxes, but they are also distantly related to wolves, coyotes, dogs, and more. Polar Pals – When times get tough, these cunning foxes know where to find the best scraps. They shadow the massive polar bears, and when the bears have finished eating, the foxes sneak scraps off of their kills. This pastime is obviously incredibly dangerous, thankfully Arctic foxes are swift and skillful little creatures. The ecosystems in the Arctic are incredibly harsh. Arctic tundra is cold, frozen, and has no trees. The ground is permafrost, or permanently frozen. 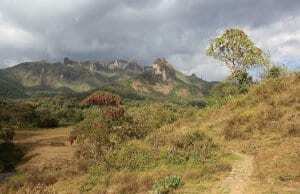 During the summer lush grasses and flowering plants grow, but only for short periods. These foxes live in the tundra, and on the pack ice of the Arctic. 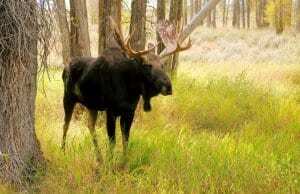 They also live in forested areas on the edge of the Arctic. 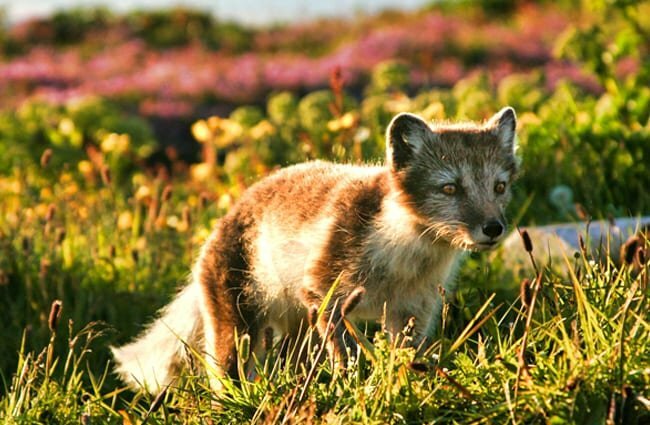 This species of fox is widespread across the Arctic Circle. They are found throughout the entire pole, also known as circumpolar distribution. Arctic foxes live in Northern North America and Greenland, throughout much of Canada and Alaska. 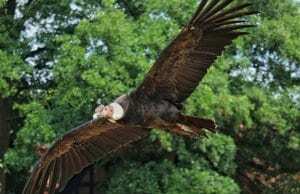 They also live in vast expanses of Russia and northern Europe. Prey is relatively scarce, but these scrappy little foxes take what they can find! Their primary prey source is lemmings, and the lemming population directly impacts the Arctic fox population. 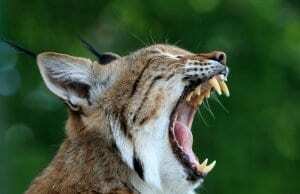 They also eat hares, seal pups, small rodents, birds, and more. These foxes are also scavengers, and happily steal mouthfuls of the kills of polar bears and wolves. Usually, humans and foxes do not interact. Particularly in the farthest reaches of the north, freezing temperatures tend to make it inhospitable for humans. However, that does not mean that humans never interact with these foxes. 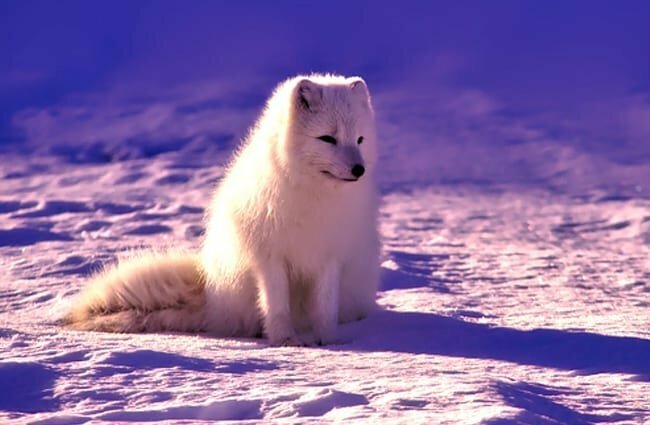 Arctic foxes have soft white coats, and fur trappers commonly target this species in the lower ranges of their habitat. 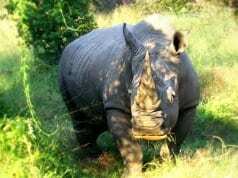 Regardless of this hunting, the IUCN lists the population as a whole as Least Concern. Humans have not domesticated Arctic foxes in any way. Some people do keep Arctic foxes as pets. 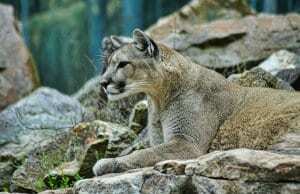 However, they are wild animals, and not domesticated. Because of this, they require specialized care, and most people cannot provide this. These foxes thrive in a zoological setting. 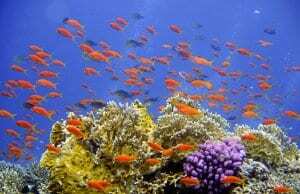 They do not require extensive space, and they are not particularly picky eaters. Zookeepers feed them a variety of rats, mice, rabbits, and other small mammals. 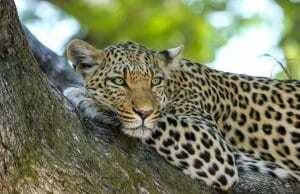 Because they are so intelligent, environmental enrichment, like toys and puzzle feeders, is quite important. 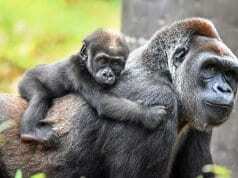 This species also learns very quickly, and zookeepers use positive reinforcement to teach them a variety of behaviors. The foxes can learn to stand on scales to check their weight, open their mouths to check their teeth, and even voluntarily give blood. Arctic foxes are solitary, and roam large expanses of land in search of food. To escape the freezing winds, they dig dens under the snow and into the ground in areas where the ground is not frozen. 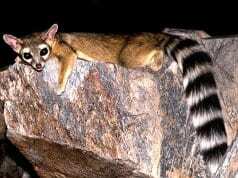 They use their long tails to protect their head and body from the cold. While they escape the cold in their dens, they do not hibernate, and are active year-round. 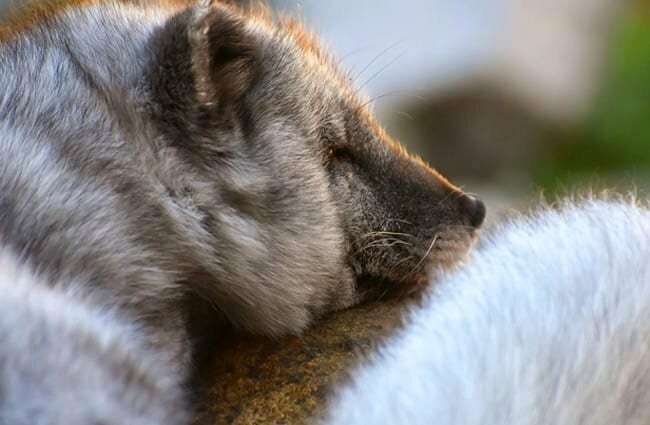 These foxes breed in the spring, and give birth during the warmer summer. Their gestation period is nearly 2 months long, and the number of pups in the litter varies based upon food availability. In years with lots of food, like lemmings, some females have litters of up to 18 pups! The mother weans the pups off her milk when they are 9 weeks old, and they often stay in their parent’s territory for several seasons.